Cinnamon is a spice obtained from several trees from the genus Cinnamomum; the tree rises 5-7 meters above the ground. Some of its properties are burning fat, preventing Alzheimer’s disease, treating common cold, and protecting the heart. Ginger is a flowering plant with an underground stem or as it is called rhizome, which is the usable part of this plant. Ginger is a heart tonic, anticoagulant, bactericide, antioxidant, and diuretic that can prevent coughing, nausea, liver toxins, inflammation, help with spasms, and boost the immune system. 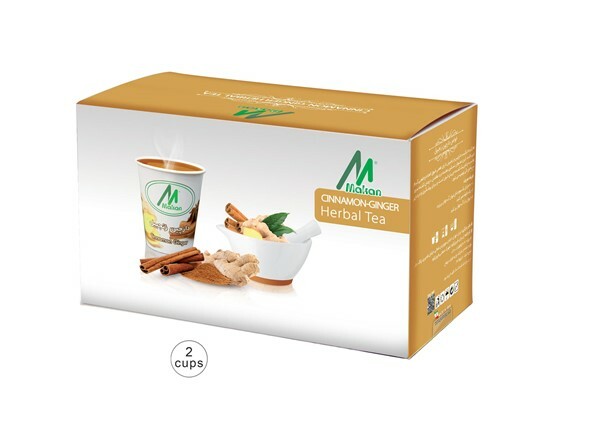 The herbal tea of cinnamon and ginger mixture has a 'warm temperament'; it can relieve arthritis and joint pains, treat indigestion, relieve pain, cure flatulence and diarrhea, stimulate blood flow, and prevent fatigue. This mixture is good for prevention and treatment of common cold and relieving menstruation pain. A new genius idea is to fix cinnamon-ginger pods in the bottom of paper cups, making it possible to prepare a delicious and healthy herbal tea in just a minute. These environment-friendly flavored tea cups are recyclable, and can save up time and energy.